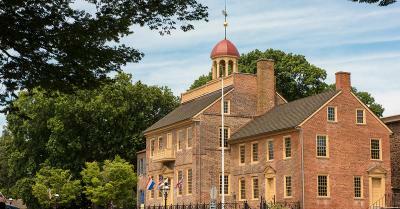 Less than 20 minutes south of Wilmington is where you will find the historic town of New Castle, Delaware. This was the first place that William Penn set foot on American soil, and it served as a prominent place of government and the original capital of Delaware for many years. All of that history is what makes New Castle the ideal place to celebrate Separation Day! While the entire country comes together to celebrate our independence on the Fourth of July each year, residents of Delaware also hold an annual celebration of the fact that they were the first state to declare their independence from British rule a little over two weeks before the entire country did. 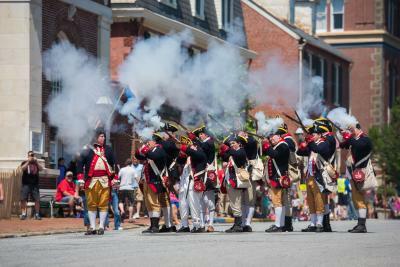 That very first Separation Day happened on June 15, 1776, and today we celebrate it on the second Saturday of June with all kinds of fun activities planned in and around the historic courthouse in New Castle. William Penn first arrived in New Castle on October 27, 1682, but even that event was not the start of the deep history you will uncover here in New Castle. As you make your way around the town, you will find local treasures like the New Castle Courthouse Museum and the Read House & Gardens. You will also learn about the courage that was required for this small town to lead the state of Delaware to announce its independence from Great Britain, as well as Pennsylvania at the same time! 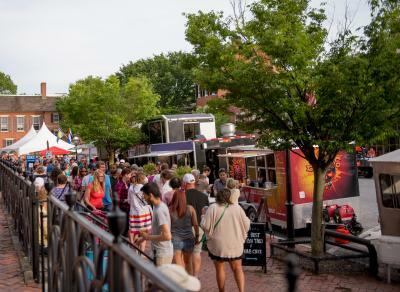 This year, Separation Day will be held on Saturday, June 9, but the pre-party will start the night before with live music, craft beer, and food trucks coming out for a neighborhood block party in Courthouse Square. There is no charge for attending the pre-party, and there will be live music from the 10-piece band Big Package. The official Separation Day festivities will then kick off at noon on Saturday in Battery Park where there will be live music all day from bands like Federal Street, 330 Hemi, Blues Cat Blues, Element K, and Special Delivery. There will also be arts & crafts, lots of local vendors, and fun attractions for the kids. While a party in the park is a good enough reason for most to head down to historic New Castle, there will also be an added bonus for the foodies: The Third Annual Colonial BBQ Competition! Teams participating in the competition will start cooking their BBQ late Friday night, and they will begin turning in their submissions to the Kansas City BBQ Society certified judges as the festivities get underway on Saturday afternoon. There will also be several teams competing in a "People&apos;s Choice" competition that anyone attending the event can vote on! If you are interested in competing as either a backyard or commercial BBQ competitor, you can find the application forms at newcastlebbq.com. Whether you are interested in the local history, free live music, or the best BBQ in the state of Delaware, there is nothing quite like the Separation Day celebration you will find in New Castle on Saturday, June 9. Don&apos;t miss your chance to experience this Delaware tradition in the best way possible!